SkyDrive is a free online cloud storage service from Microsoft. 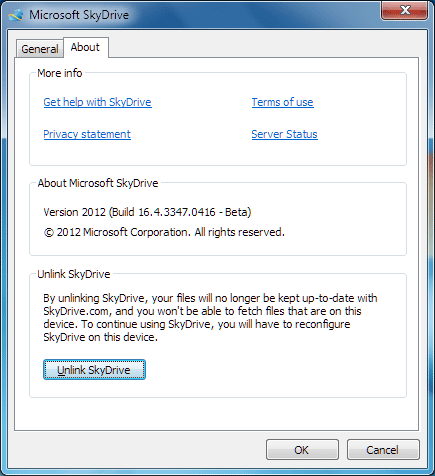 Recently, it is was updated with release of new SkyDrive client software. 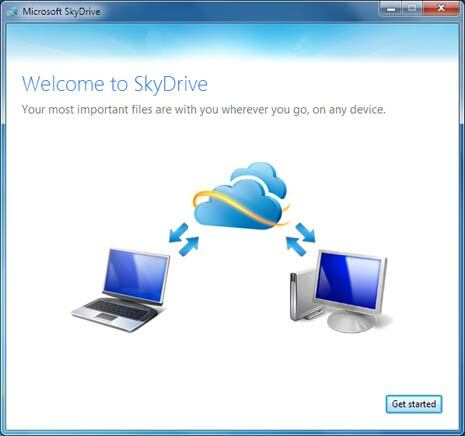 SkyDrive provide 7GB free storage space for users to store files, photos, documents and lots more. Anyone can download the client software for free from apps.live.com/skydrive website. Then using live or hotmail ID setup Skydrive for storing files online for free. During setup, user get option to change and select differet folder for SkyDrive sync. In simple words, any files and documents you add to the selected folder on your Windows computer are automatically uploaded to your SkyDrive account for backup. By default, C:/Users/Username/SkyDrive folder location is selected for SkyDrive backup. Users will smaller parition size of C drive may have issue dealing with large size and large number of files. Hence, they may want to use different folder on different drive parition for the SkyDrive sync and backup. 1. You can easily use a different default folder for SkyDrive even after setup is complete. Right click on SkyDrive icon on the taskbar and then click on Settings option. 2. Click on About tab at the top of Microsoft SkyDrive window and then click on Unlink SkyDrive button. This will disable the sync to allow re-configuration of settings. 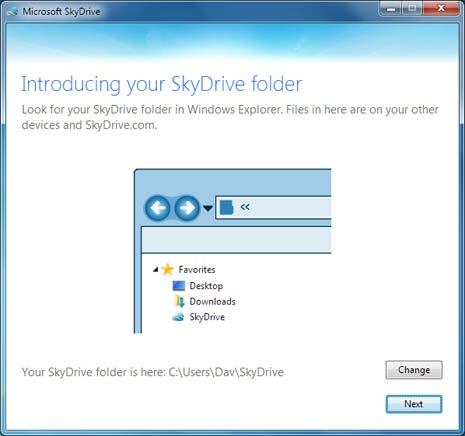 Within few seconds, “Welcome to SkyDrive” window will automatically pop-up on the screen. 3. Click on Get Started button to reconfigure SkyDrive settings (including change of the default folder). Enter your Live or Hotmail ID account details to login into your Windows Live account for setup. 4. Now you should see “Introducing your SkyDrive folder” screen. The default SkyDrive folder is listed at the bottom. Click change button and select different folder of your choice. Then click Done on the next screen to complete SkyDrive setup. Now Skydrive will copy and sync files stored in newly selected folder on your Windows computer with your free online SkyDrive storage space.